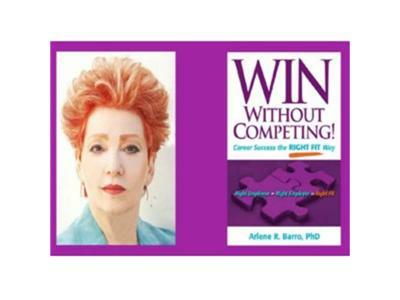 "Dr. Judith Reichman: Sets the Standard on Women’s Health Issues" On WIN Without Competing! Dr. Arlene will interview Dr. Judith Reichman who is one of the leading voices in America on women’s health issues. She has been a medical contributor on women’s health for the NBC Today Show, appearing bi-weekly for over a decade. During much of that time she wrote a weekly column for the Today Show on MSNBC. She is the author of the bestsellers I’m Not In The Mood - What Every Woman Should Know About Improving Her Libido, I’m Too Young to Get Old: Health Care for Women After Forty, Relax, This Won’t Hurt: Painless Answers to Women’s Health Questions and her most recent book Slow Your Clock Down: The Complete Guide to a Healthy, Younger You. Dr. Reichman is also a contributing editor for the LA Times Magazine. Dr. Reichman has a thriving practice in Los Angeles. She is an attending physician in gynecology at Cedars-Sinai Medical Center and a fellow at the American College of Obstetricians and Gynecologists. She specializes in perimenopausal and menopausal care. Dr. Reichman lives in Los Angeles. She is married to Gil Cates, film director, producer, and the artistic director of the Geffen Playhouse. They have 6 children and one dog (who resides with them). Join Dr. Arlene as she uncovers how Dr. Reichman sets the standard on women’s health issues.